Twitter is a platform for thousands of designers to showcase their ideas and daily routines with each other. From designing projects to inspirational quotes and sharing personal life experiences, everything is tweeted. Being a web designer, you should know who’s who on Twitter. There are so many experts available, but, hard to find. That said, here are 30 designers on Twitter you should definitely follow. Sample tweet is also attached. Abduzeedo means “abducted” in Portuguese. This is a blog run by Fabio Sasso, who is totally abducted by web and graphics designing. About useful links from all over the designing world. About different offers and valuable contents that are related to designing. Andrew Kelsall is a genius web and graphics designer from England who creates unique logos and print designs. He also offers them through his website. Many designers follow him to get different logo ideas. His tweets are mostly related to photography, inspiration, illustration and web designing, etc. Amy Mattingly is an English web designer who was a former freelancer, but, nowadays works at blubot, an e-Commerce agency. Khoi Vinh is the co-founder of Mixel.cc. He is a blogger and former design director at NYTimes.com. Adam Smith is the founder of Advent Integrated. He is an award- winning web designer who is very passionate about the social media and typography. New trends and stories from around the world, especially the ones focusing on typography and web designing. Baz Deas is a freelancer and UX designer who is passionate about creating unique, usable interfaces for web. He is also fond of photography. He very recently has started mountain biking. About the daily life of web designers. Oh iOS7, how I love and hate you all at once. Why do you have such deep flaws. Simplebits is a creative studio run by Dan Cederholm. His work is focused towards CSS3 technology that web designers can use and how they can use it fully. Inspiration to other designers about using the right techniques. Kimberly Beaven is a web designer and creative director at BlueWave Media. She also tweets about social media on a regular basis to her followers. Antonio Carusone is a great graphic designer who is obsessed with the grid system. He is a senior product designer at GroupMe. He is a great source provider for graphic designers. Most are related to graphic designing, typography, grid system, minimalism and modernism. Cam Oliver is a web designer who is also a UX fanatic and techno-libertarian. He is very enthusiastic about modern web design. Focused on different inspirational links regarding web design, development and demonstration from all over Twitter for the new designers. 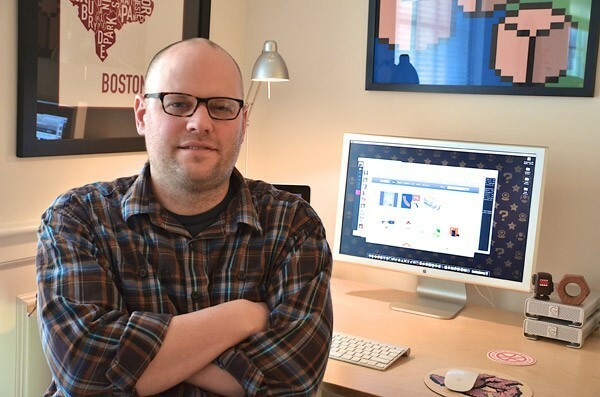 Joshua Porter is the director of UX at Hubspot. He is the founder of Bokardo Design, a design consultancy focusing on social web application. Inspirational posts on his Twitter page. Jon Phillips is a fantastic web designer who is addicted to typography. His creative things are very popular on the internet. He is basically a UX, web and graphic designer. Useful resources related to photograph, designing, etc. Russ Adams is a web designer and a very good blogger. Josh Smith is a graphic designer, writer and currently working at Inhabitant of New York City. His tweets are very useful for designers who are interested in brand designing. "The best way to do anything is just, literally…to do it." Paul Share is a graphic designer, illustrator, educator, and a lecturer. Seth Jenks is an entrepreneur and web designer. He is the CEO at Duskinteractive. His tweets are very useful for new designers. Simon Ashley is a web designer and a developer. He is also a solution expert, system architect, technologist, web entrepreneur and a hard fan of coffee. Different personal interest activities on his Twitter page for upcoming designers. Arron Lock is a food lover and an independent graphic designer. He is also a blogger. Useful stuff about designing with context to graphics. Anonymous asks: "What's the deal with my mushrooms always being soggy when I cook them?" Brian Hoff is the founder of Brianhoffdesign. He is a graphic designer, artist and a blogger. Inspirational tweets about daily personal life as well as related to the designing. Graham Smith is a logo and graphic designer. Designers should follow him for new ideas. Daniel Burka is a design partner at Google Ventures. He is also the co-founder of Milk Inc. and an ex-creative director at Digg. Designers can find plenty of design resources for web and other mediums through his Twitter page. Mike Rundle is a creative designer and software engineer. Creating beautiful products for the web is one of his many skills. He is a consultant for Mac, iPhone and iPad. Designers can utilize his resources for their projects. Andy Budd is a user experience designer and partner at Clearleft. He is very passionate about promoting the new talent in designers, which is why his most of the tweets are for them. He is always available for new designers who want to achieve their dreams. It's Saturday morning in Brooklyn and I'm reading a copy of tomorrow's Sunday New York Times. Very confused! Grace Smith is a freelancer who is attached to web and graphic designing. She is very fond of social media and web standards. Useful online tools and resources. 10 yrs ago IE accounted for 84% browser usage, now it's just 10% (according to W3Schools). Incredible to think about the webs advancement! Jon Hicks is a creative designer for web sites, user interface, branding and icons. He also designs for prints. Different daily routine design works. Jeff Croft is a product designer who works in Seattle. He is a co-founder of Lendle and author of two books on the web. Inspirational resources that are very helpful for the web designers. From where I stand, "I have never seen a therapist" is a WAY bigger dating red flag than "I regularly see a therapist." Derek Featherstone is a web designer. He is a world-known speaker and web developer. He is also the member of Simply Accessible Inc. Designers who are starting professional career can find his tweets very useful. About consultation regarding organizations, institutions, public utilities and government agencies, etc. Elliot Jay Stocks is a creative director of Adobe Typekit. He is also the founder of 8faces and the co-founder of viewportind. He is a designer, speaker and author. Jessicawalsh is a designer and art director, partner at NYC design studio. She is an award winning designer. She is a very lively person. She is always available for consultation to new designers on her Twitter handle. Designers can follow her as a role model to achieve their dreams. Richard Perez is a designer, illustrator and the captain of Skinny Ships. He has worked with many big brands on the web. New designers should follow him in order to have the latest ideas about designing. Mostly focused on freelance graphic designing, illustration, lettering and typography. You can surely keep up with the latest trend in designing by following these designers. You can also let us know who your favorite designer is and who else you follow on the twitter, so that advice seeking designers can be assisted. The next section is going to represent some more awesome designers to follow on Twitter and gain extra knowledge and inspiration. Twitter is growing and growing – if you’ve been living in ice age, then maybe you don’t know about this popular trend. Facebook and Twitter are the most popular social networks and that’s why we will do series here to help you get better there. We are starting with huge post where we selected the most interesting and active bloggers and designers you should enjoy following. We are sorry about ones we didn’t include, but hey, here is a quick thought – add your twitter names in comments with description why people should follow you! Just hope you enjoy this article and we all can leverage from great new friends to talk with! Of course, shameless self promotion! Web-designer, who decided to dedicate his life to design few years ago. Now living happily ever after! Add him if you are web design fan! Graphic Artist. Creative Director. Skilled Copywriter. Design Diva. Freelance designer of print & web. Photographer, adventurer, Apple fan. R27.CREATIVELAB. Design & Visual Communications. Senior UX Designer near Minneapolis, MN with 15 years experience in creative Web and Graphic Design. Self-Proclaimed Media Ho, Designer Guy and Twitter Addict. Logo Critiques blogger, Graphic designer, Web designer. Graphic Designer, Logo Designer, Web Designer, Blogger, Creative Thinker, Social Media Nut, Freelancer, Link Sharer. Designer by day, designer by night. A 26 year old Freelance Web and Graphic Designer in love with web standards and social media. An unashamed Apple Fangirl. A creative Designer, avid Blogger. User interface graphic designer from Austria. Dynamic Design & Production for the Web, Print and Video based in Kelowna, BC, Canada. Web and Software Application Developer / Web Designer. Graphic Designer, Creative, Logo, Print and Web Design, WordPresser, Tech-head, Blogger and Mac user. Business Owner, Designer, Blogger, Web-enthusiast. Web, development, marketing and media firm. Founder of web design agency Headscape, host of the boagworld web design podcast and author of the website owners manual. Founder of Bokardo Design, a design consultancy focusing exclusively on social web applications. Graphic Designer, Editor at FuelYourCreativity. Freelance web designer and developer. A web site producer living in Brighton. Professional Web Development & Graphic Design. Webdesigner Depot is one of the most popular blogs about web design trends, tutorials and much more. It’s run by Walter Apai, a web designer from Vancouver. Lover of Typography, Web Design, CSS, XHTML , Illustration. A web designer who also likes blogging. Web Designer and Front-End Web Developer. Specializing in creating Custom WordPress Themes. Freelance Web Designer Specialising in Search Engine Optimisation and Search Engine Marketing. 26 years old French girl living in Germany, freelancer, wordpress guru, web designer, internet geek, Mac user, crazy about ITs, books. Web design blogger at WebDesign.fm. Student of marketing, design, and SEO who is working to make an impact on the world. Web Designer – Rockfish Interactive, Founder – Evil Tomato Media. A web designer and developer, systems architect, new media scientist, technologist, web entrepreneur, amateur quantum enthusiast and coffee aficionado. Owner of OnWired. A progressive web design and development firm in North Carolina. Also running YourWebJob.com and PleaseCritiqueMe.com. Product designer at HiiDef Inc.
Freelance logo and brand identity designer. Iconic, typographic and minimalist tendencies. 25 years experience. Art Director, Graphic / Web Designer, Video Editor. A creator of striking designs, impeccable markup and code, and forward-thinking ideas and applications. A graphic/web designer living in Belgium. A Web developer who specializes in building detailed, robust WordPress themes. Working at Envato where he helps making awesome websites! An interaction designer and product manager. Web designer, specialising in blog design. A web designer and marketing communications professional focused on creating the best online and offline experiences possible. Building engaging websites. Author, Designing With Web Standards 3rd Ed., zeldman.com. Founder, Happy Cog studio. Publisher, A List Apart magazine. Co-founder, An Event Apart conference. User Experience Designer, partner at @clearleft and curator of @dconstruct and @uxlondon. A designer, author, speaker. Founder and Principal of SimpleBits. Well-known Web standards advocate, instructor, and author. An Irish web developer living and working in Brighton, England. User-experience design agency based in Brighton, UK. A Vancouver local and a freelance designer. Architects user interfaces and web designs. Internet entrepreneur and founder of Carsonified.com. Founder of ILT (I Love Typography), WLT, & TypeNuts.com. Graphic designer, writer, typophile, bibliophile. A NYC based Graphic Designer/Communications Consultant who has been running his own studio since 1993. The World’s Biggest Brand Marketplace. Buy and Sell high quality, original logo designs and domain names. Web designer, blogger, and freelance writer. Just a simple guy who likes to make pretty, usable stuff. Running a startup @GiantThemes and a full time web designer for @madebyguerrilla who loves MMA and blogs @gfreelancing. Running Carbonmade with other fine folks. And Burstoid. Graphic Identity Blog author. Logo, graphic, web designer. Owner of Creative World. Blogging on: Web design, Graphic Design, CSS, XHTML, Flash, Theme Design (WordPress, activeCollab, Magento). Ecommerce Creative Director. Web Design & Online Marketing. Swiss graphic and web designer. Pro Blogger, Founder of woorkup.com. Graphic Designer, Web Designer, Vector Illustrator, Blog Editor, and Writer. A web developer living and working in Wisconsin. Entrepreneur, co-founder of WooThemes and general creator of Rockstar Awesomeness! Web Design, WordPress themes & entrepreneurship – Founder of iThemes.com & WebDesign.com. Internet consultant. Founder/CEO of StudioPress and AgentPress. Founder & Creator of WPCandy. A front-end developer, currently living in Miami, Florida. Web designer, writer and podcaster from Oklahoma. A designer, an illustrator, a speaker and an author. Creative Director at AgencyNet based in Los Angeles, CA. Vitaly Friedman, editor-in-chief of SmashingMagazine.com and Noupe.com, online magazines dedicated to designers and developers. In the next section we wanted to put a spotlight on some very influential people in Web Design industry. The web design industry is continuously changing and there are many people who are setting the bar higher every day with their incredible work and contribution to the web design community. Here is a list of just a few of the people who are responsible for changing the meaning of web design with their awesome work and concepts. All designers listed here are equally amazing, this isn’t mean to be a ‘Top Ten’ type list, we’re not ranking them, just listing innovators in web design. Also, with this list I have shared their Facebook, Twitter, Dribbble & LinkedIn information so you can always stay connected and get inspired by their work. Jeffery Zeldman is the King of Web Standards & co-founded The Web Standards Project. Zeldman was one of the first bloggers and independent publishers. He has written design books like “Designing With Web Standards”& “Taking Your Talent to the Web”. Jason is a creative director for Typekit & founder of Typedia. Inspired by traditional print design and typography, he has worked with WordPress, Miramax Films, The New York Stock Exchange, PBS and many others. Dan is a designer, author, and speaker and a co-founder of Dribbble. He is know as a CSS guy. He’s worked with some of the heaviest hitters in the web industry including: Google, YouTube, Blogger and many more. Vitaly is a founder of Smashing Magazine which is one the largest online design magazines on the web. They regularly publish really high quality articles that help designers and developers across the world. John is a talented designer from the UK and is working as a member of the WordPress UI Team, he is also developing user interface for Virgin Atlantic Airways. Besides his personal blog, he also contributes to Smashing Magazine, Web Designer Depot and Envato Network. Brian is a graphic designer who focuses on corporate identity & branding. His recent project includes redesigning Mojo Themes. Inspired by typography and layout, Brian focuses on usability & design. Douglas founded Stopdesign under which he worked with Google, Capegemini, Blogger & other big clients. Later, he worked at Google as a Visual Design Lead and after that he moved on to work with Twitter as its creative director. Aarron is a designer, author, professor and speaker. He is the lead user experience designer for MailChimp. He also leads the development of the InterACT curriculum project that helps connect the design industry & education. Ethan is a passionate designer, speaker and wrote ‘Handcrafted CSS’. New York Magazine, Stanford University, and the World Wide Web Consortium are some of the clients he has worked with. Ethan can be found blogging about design-related articles on his blog. David works from a Northern Ireland-based home studio, he is a brand identity designer who has worked with clients of all sizes. His client list include Giacom and Yellow Pages. He writes on design at Logo Design Love and davidairey.com. He also authored the book ‘Logo Design Love’. Patrick is more of a developer than a designer but he has contributed equally to the design community. He has been featured in .NET Magazine and authored the book series “The Web Designer’s Idea Book”. Jason is a user experience designer and front-end developer with a degree in Graphic Design. He is currently working as a user experience designer at MailChimp and also authored the book ‘The Principles of Beautiful Web Design’. He has also spoken at many SXSW events. Chris is currently working at Wufoo, he is the founder of CSS-Tricks which shares tons of useful tutorials and tips. He has also co-authored the famous book Digging into WordPress. Eric is the author of ‘CSS: The Definitive Guide’. He has been working with the web since 1993 and is an expert of HTML & CSS. He is also a co-founder of An Event Apart & GMPG. Luke worked as the Chief Design Architect at Yahoo and was the Lead User Interface Designer of eBay. He has authored two design books and is currently the Chief Product Officer and co-founder of Bagcheck Inc.
Let us know about the designer you are influenced by and tell us which of the designer listed here you like the most.